A growing neighborhood in northeast Polk County is fighting for more grocery store options. 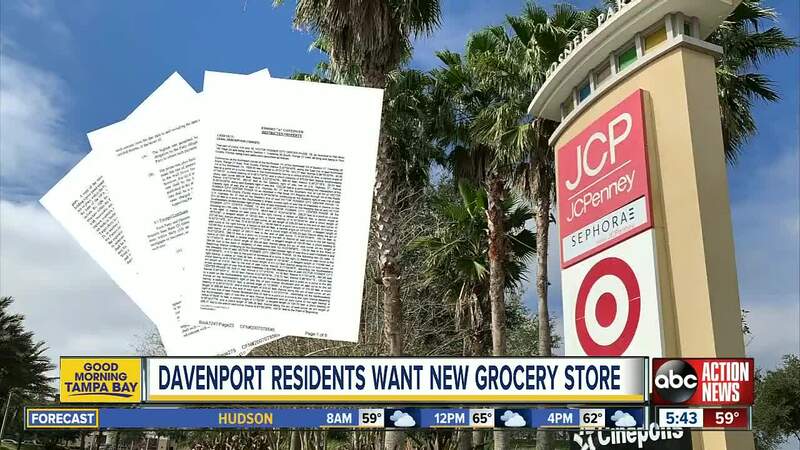 DAVENPORT, Fla. — A growing neighborhood in northeast Polk County is fighting for more grocery store options. In a city of about 5,000 people, the area has two options: Publix and Target. Soon, there could be more options with developers coming into Posner Park but an agreement signed more than 10 years ago prohibits any standalone grocery stores from moving into the property. A lawsuit filed by Martni Poser, LLC in 2018 is challenges the contract in court, but the Davenport Target is fighting back. When Target opened more than 10 years ago, a contract was signed with Martni Posner, LLC, the landlord of Posner Park. This contract prohibits certain uses of the site which is common among these types of agreements, according to a Target spokesperson. Everyone including Target and Posner agreed to the contract when the store opened. Now, Posner is looking to break the contract and is taking the retail giant to court to do it. However, the contract only has grounds within Posner Park, no where else in Davenport. “If they were a full actual super target with groceries that would be awesome, I love their super targets but we just need an option,” Lisa Albo, a Davenport shopper said. ABC Action News looked it up, the closest grocery store to the Target location is Publix in Champions Gate, about four miles away. The next closest full grocery store is Aldi about about eight miles or a 16 minute drive. 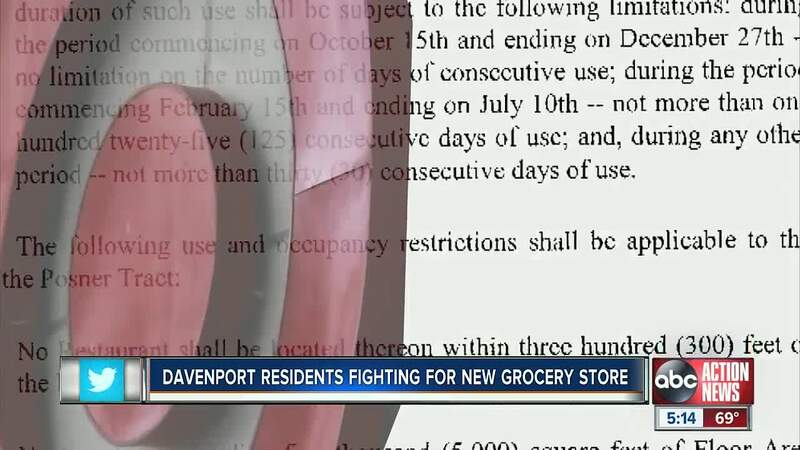 Although, those living in Davenport say the distance is not the problem, monopolizing the grocery store options is. Target Corporation representatives say the argument is basically a contract disagreement. “Davenport is one of the fastest growing cities, we want it to grow and we want it to grow responsibly,” Albo added. Currently, Intram Investments, LLC is building an outlet which will included stores like Marshalls, Bealls, Home Goods and Starbucks. At least one developer says they would like to include a new grocery store in Posner Park. The developer says this would not be a stand alone grocery store, but would be included in the outlet, like its other tenants. “Since target is not a grocery store so why would they fight it?” Deborah, a shopper asked. Lisa Albo, a Polk County resident, created a petition to end the Target lawsuit which has garnered about 1,750 signatures in one week. The goal is 2,500 signatures. To sign the petition, click here . The next hearing is scheduled in Polk County Courts on April 11, 2019.